Engine Control Kit for the latest J1939 electronically governed T4F Engines. 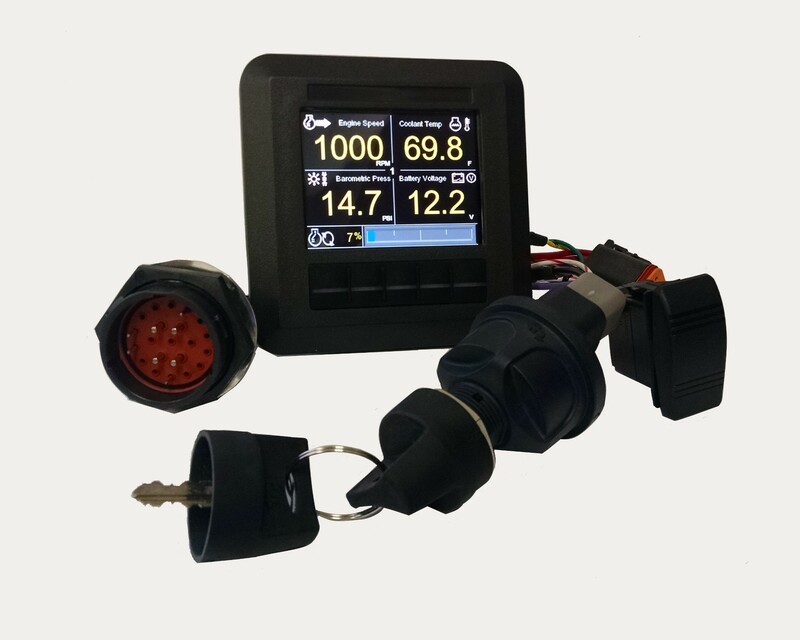 Kit consists of; 3.5” Color Graphical Display, sealed ignition switch, throttle switch and interconnect harness. Features include 3 auxiliary inputs, 2 analog inputs for “oil pressure” and “fuel level”, an audible alarm output and external engine shutdown.